Not only has it been shown that omega-3 oils help to protect the skin from the harmful effects of UV sunlight damage, but consuming fish alongside a balanced diet can also alleviate the symptoms of other skin conditions such as eczema and psoriasis. 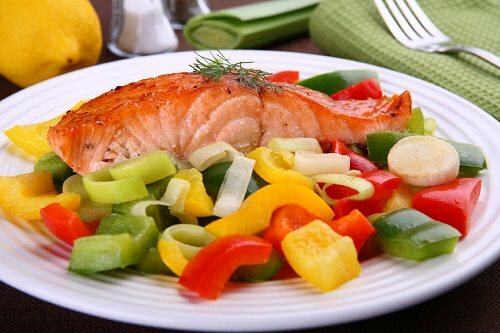 Fish is also a great source of protein, which is an essential ingredient of collagen, a chemical which keeps the skin supple and firm. Serve your fish with bell peppers, and enjoy a perfect skin.